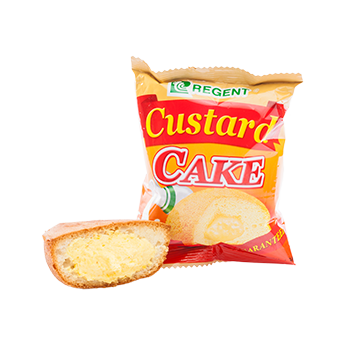 Regent’s sponge cakes with custard cream filling are the best and sweetest center-filled cake available in the market. It is a soft and moist sponge cake with a rich and thick cream filling inside. Every bite surely brings out buds’ satisfaction. It is available in Mixed Cakes with Filling pack with 10 pieces of varied flavors inside and a Fiesta pack with 5 sponge cakes and 5 sponge cakes with filling inside.